After being told by his new Queensland Red coach, Brad Thorne, he won't be featuring in his plans for the new Super Rugby season, Quade Cooper as good as gone. George North is set to meet with Dragons' head coach Bernard Jackman in the not to distant future, regarding the 25 year-olds' career plans. The British and Irish Lion would meet fellow 2017 tourist Ross Moriarty, and would prove to be more shrewd business from the busy new coach Jackman. Munster captain Peter O'Mahony has hit a stalemate with the IRFU in terms of his salary, and there are a plethora of options outside of the Pro14 for the Irishman. 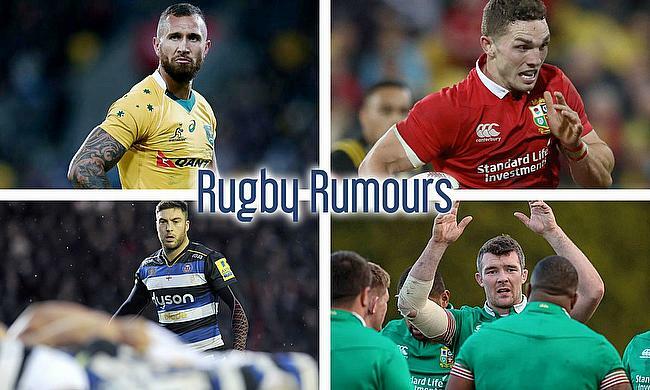 Substantial interest from the Top 14, along with Gloucester who are looking to restock their back-row with an international heavyweight who can fill Moriarty's shoes. Bath Rugby's longest serving player Matt Banahan, is out of contract at the end of this 17/18 season, and rumours have it he is looking for a change. The 30 year-old winger has spent his entire career with Bath, but it seems he won't be going too far afield, 50 miles up the road to Gloucester on a 3 year deal.